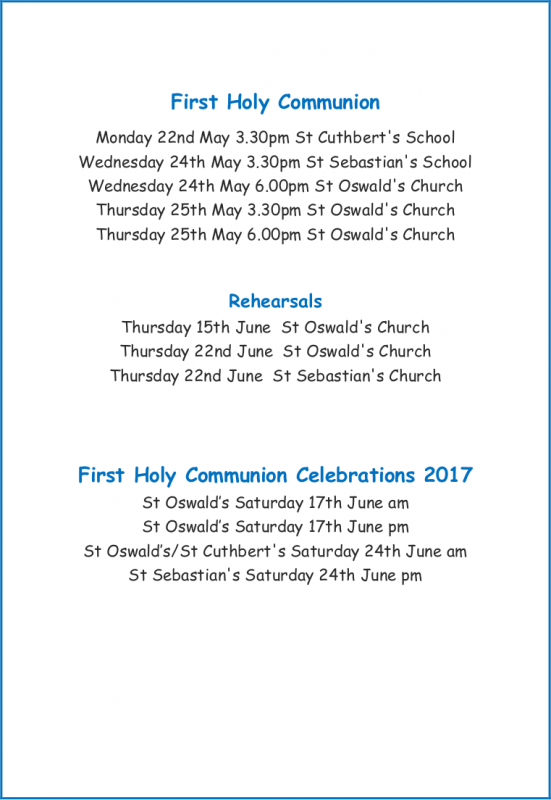 The ‘With You Always’ programme prepares the children for the sacraments of Reconciliation, Confirmation and Holy Communion. Making the blessed sacraments is a significant stage in your child’s Catholic journey and the ‘With You Always’ programme helps them to understand and appreciate the true meaning of each. The way children are prepared for these sacraments changed a couple of years ago. Instead of teachers, catechists and priests teaching children and parents about the sacraments, they will help parents to hand down their own faith to their children, fulfilling the responsibility parents take when their child is baptised. These changes are intended to help us understand that parents are the first teachers of their children in the ways of faith and that we are all called to get to know Jesus better throughout our life’s journey. From Spring 2017 preparation sessions will last for between and hour and an hour and a half; some sessions will be longer than others. An adult family member MUST be present with their child or the child will not be admitted to the session. 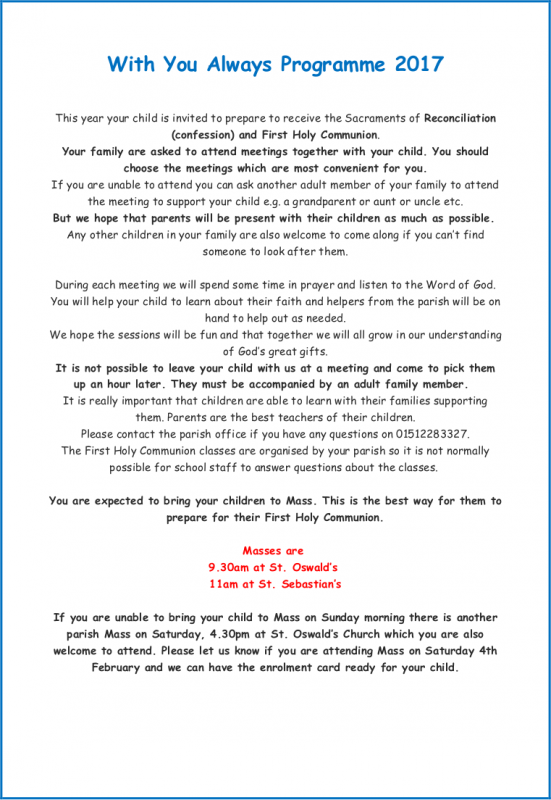 Adult family members will teach their children about the Catholic Faith using the materials and guidance provided. Parish helpers will also be on hand to answer any questions you might have. If you have any problems with taking part in the preparation programme please talk to Fr. Mark. You might want to know more about the Catholic Faith, making your confession or being confirmed yourself. Please talk to Fr. Mark if you are worried about anything. Fr. Mark and the parish volunteers will be happy to help you in whatever way they can.